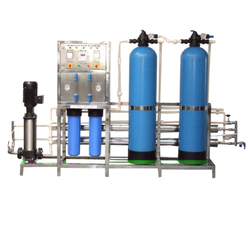 We are a leading Exporter of water purification plants, industrial water purifiers, water purification systems, water purifying equipment, water purification machine and solid contact clarifiers from Mumbai, India. With rich industry experience and knowledge, we are engaged in offering a supreme quality Water Purification Plant. The offered purification plant is used to remove common household pollutants from water. 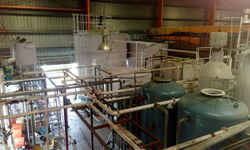 This purification plant is developed in adherence to the quality standards by using quality material & advance techniques. 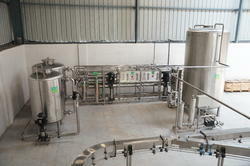 Also, our quality controllers check this purification plant at various quality parameters to assure a flawless dispatch. From the years of commencement, we are engaged in offering Industrial Water Purifiers. 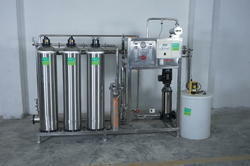 These Industrial Water Purifiers are extensively used for filtering both drinking water and sewage. Our purifiers needs low maintenance and is easy to install. 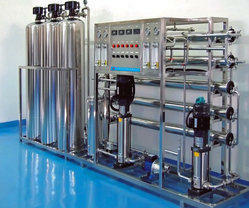 Moreover, Industrial Water Purifiers are available in market at most reasonable prices. Bromide removal Filters for various capacity ranging from 10 M3/hr upto 250 M3/hr. The level of bromate is allowed upto 20 ppb in Drinking Water. The removal is possible up to 5 ppb level. 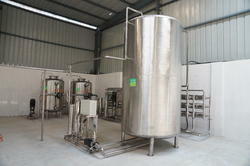 We are dealing in Water Purification Plants that are used in Industries to purify water. We are engaged in offering Water Purification Systems, with 6 Stage home RO with Ultraviolet Sterilizer Systems. 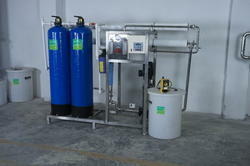 We are engaged in offering Water Purifying Equipment to the clients. The Water Purifying Equipment are broadly used in homes and offices for purifying water and making it fit and healthy for drinking purpose. We are offering Water Purification Machine that provides pure and safe drinking water by killing germs, physical impurities. We are manufacturing world class Solid Contact Clarifiers that have capacity to act as both an improved flocculation device and high rate chemical precipitator. Here, mixing, internal solids recirculation, gentle flocculation and gravity sedimentation are all combined within single unit. The solid contact clarifiers mix the influent flow with previously settled solids within the draft tube. In this, the gentle mixing within the reaction well promotes agglomeration of floc particles and chemical precipitates. Then, the aggregated solids settle out more quickly in the clarification area. In the solid contact clarifiers, clarified overflow is removed through a radial launder system that draws water from the complete surface area to avoid solids carryover caused by uneven velocity currents.